18" x 22" Distressed Leather Bed This stylish BRINKMANN PET?18 inch x 22 inch x 10 inch High Bolstered Bed features luxurious curly fur sleep area and a distressed soft faux leather body that is a favorite for all pet lovers. Filled with ECO-FIRST? recycled fiber fill and an additional layer of batting in the bottom for supreme comfort. 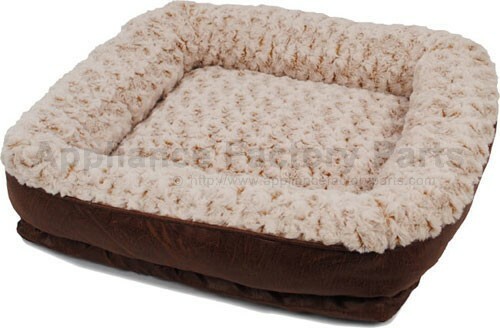 Color: Brown Care Instructions This bed is easy to care for, just wipe with a damp cloth. We're adding new 876-FS18-00580.1 parts all the time, contact us for pricing and availability.